Williams & Thorson, LLP are Dallas based attorneys who specialize in personal injury claims and wrongful death claims. If you are looking to file a claim to receive compensation for yours or your loved ones injury or death, this law firm will give you the attention and the focus that is needed. In addition, they will fight for you with the insurance company and in court, if necessary. 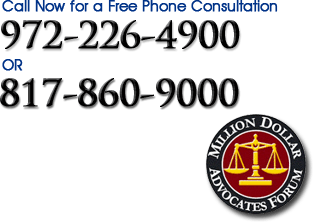 You want an aggressive attorney to deal with the insurance company and these attorneys are who you want for sure. Making the decision to file a claim can be the first step to regaining your life. While accidents do happen, if you or a family member was injured or killed due to the negligence of someone else, then you have certain rights. Among these is the right to compensation for not only medical costs, but also other damages, including future loss of wages and medical bills. Damages are not only localized to physical ones, they can also include intangible ones, such as pain and suffering or loss of quality of life. Whether it is an injury or death, a dollar amount will be put upon the value of your pain, suffering, or loss of function/quality of life. Stace Williams & Paul Thorson will fight for you to get the maximum amount to allow you to reduce at least some of the financial stress. Pain, worry, bitterness, anger, and confusion about why this happened to you are all normal emotions. A personal injury or wrongful death attorney will understand that this accident not only is affecting you or your loved one that was involved in the accident, but also the family. That is why they fight so hard. They want to be sure that the family, as well as the victim, is given what they merit for the loss of the life that they had before the accident. Whether it was you who was injured or it was a loved one who was killed, you have the right to pursue financial damages. By taking the time to find the right attorney, it can make all the difference in the success of your case. Take the time to find a law firm that is not only knowledgeable, but also experienced in this type of law. Williams & Thorson, LLP is that law firm in the Dallas area. Call (972) 226-4900 or (817) 860-9000 to discuss your case.